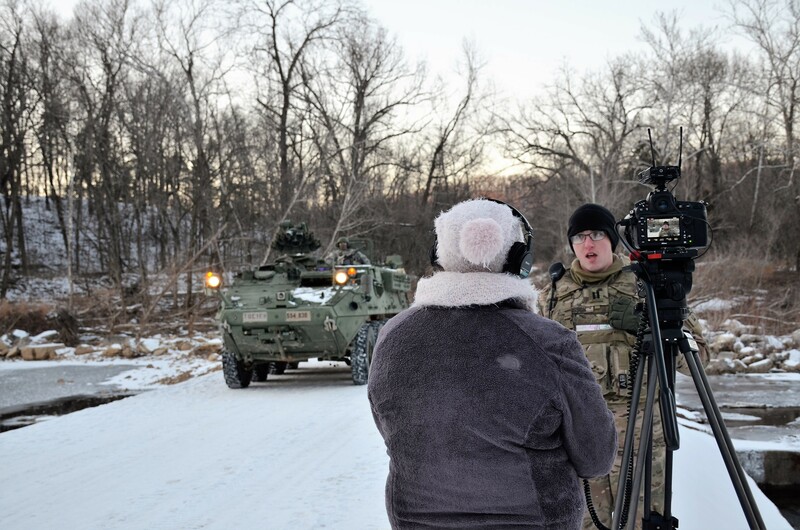 Subzero temperatures did not keep Defense Media Activity's Army Media Gold Team from visiting Fort Leonard Wood Jan. 16 to 19 to cover Army Engineer careers and training. 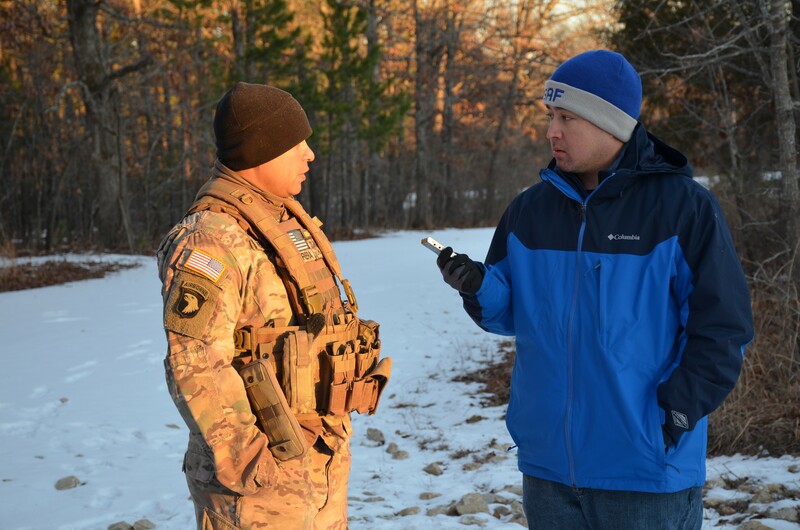 The main purpose of the DMA visit was to obtain broadcast and print stories in support of the U.S. Army Office of the Chief of Public Affairs for release during the celebration of engineering education and careers associated with National Engineer Week Feb. 18 through 24. The DMA team members, consisting of Tyler Prince, multimedia producer; Kayla Cain, multimedia producer; and Devon Suits, writer/editor; each have prior military service in public affairs. The team was also supported through their headquarters, located at Fort Meade, Maryland, by familiar names in Army journalism to include C. Todd Lopez, Lance Milsted and Gary Sheftick. 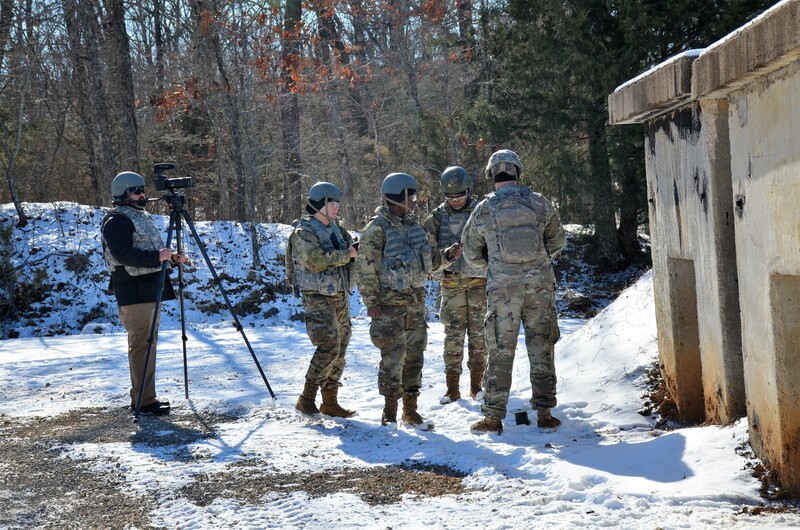 Although they missed seeing the Sapper Leader Course, the team had a full schedule of combat engineer, general and topographic engineer events to observe through coordination with the U.S. Army Engineer School and 1st Engineer Brigade. 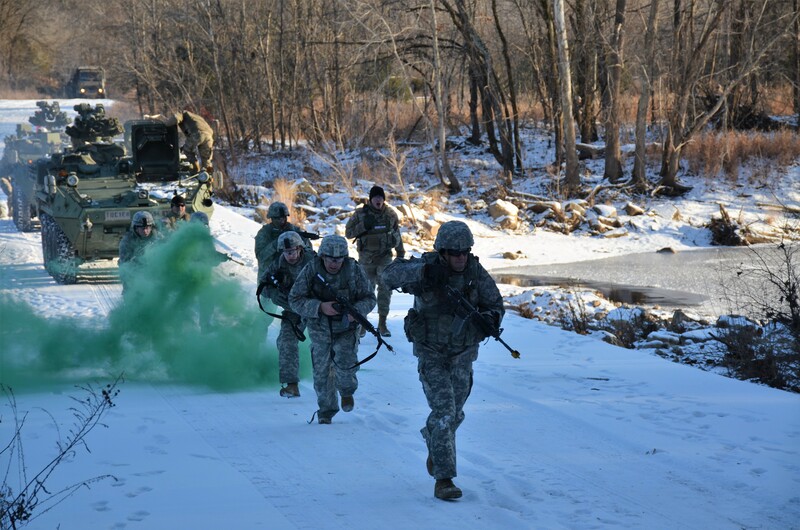 "The brigade provided a good mix of officer and enlisted training for the DMA team to cover," Herb Shields, 1st Engr. Bde., operations specialist, said. "We worked with the team and training units to identify training that would offer the best visual effects." The demolitions range, field training exercises with the Engineer Basic Officer Leader Course, Training Area 250 Bailey bridge and Dry Support Bridge operations, and TA-244, lent the backdrop for much of the visit. 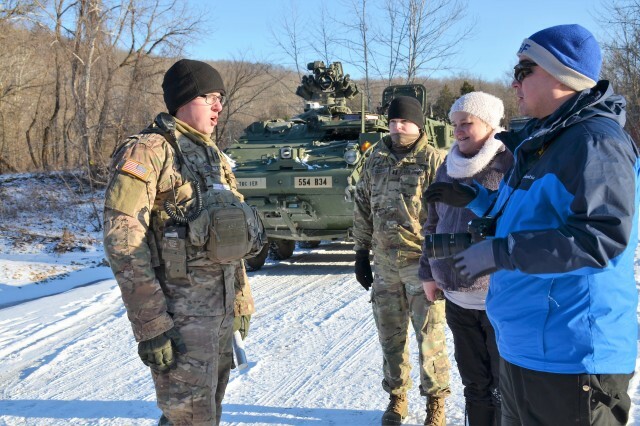 Cain said, prior to her visit, she did not realize there are 18 Engineer military occupational specialties, and enjoyed seeing heavy equipment operations at TA-244 the most. "I really liked the heavy equipment -- the bull dozers," Cain, formerly an Army combat camera specialist, explained. "I've seen breaching and demolitions before. I've seen all the big stuff go boom, but actually being able to see engineers build things and work with heavy equipment was really cool for me." Prince, whose broadcast journalism experience with the Air Force let him cover several humanitarian missions in Japan, said his favorite part of the Fort Leonard Wood visit was "getting to see engineer officer training where they conducted breach and clearing operations." 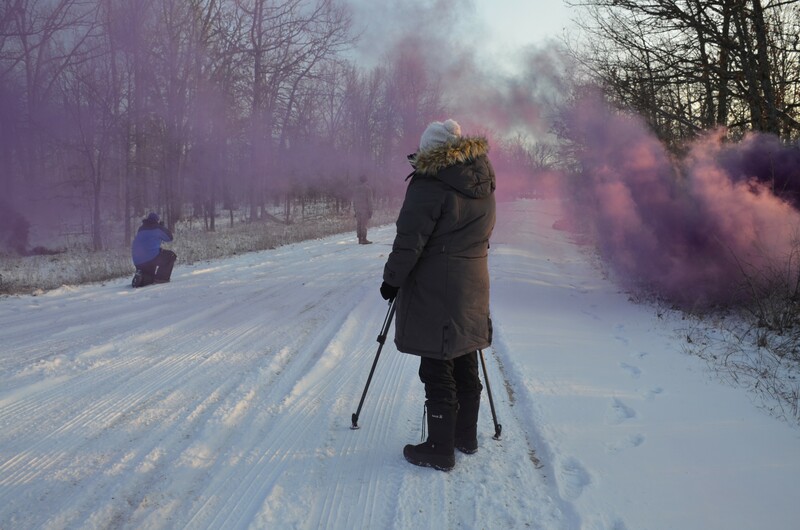 Suits, also a former Airman, said, excluding the cold weather, it was fun to be out in the field. 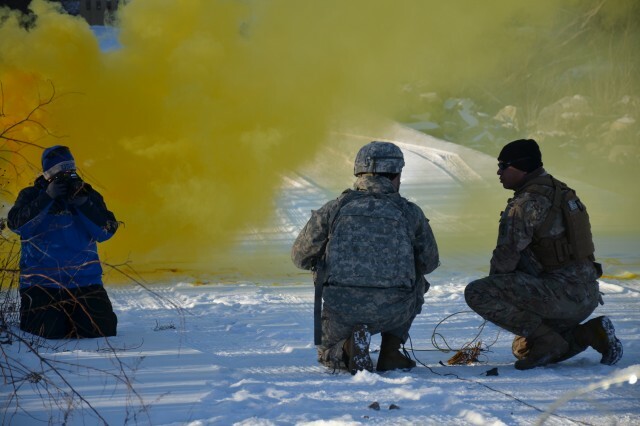 "It was a great experience to see how Army engineers and leaders are trained," he said. "Being here for just a short period of time, I've learned Fort Leonard Wood has a lot of missions I'd be interested in capturing in the future." 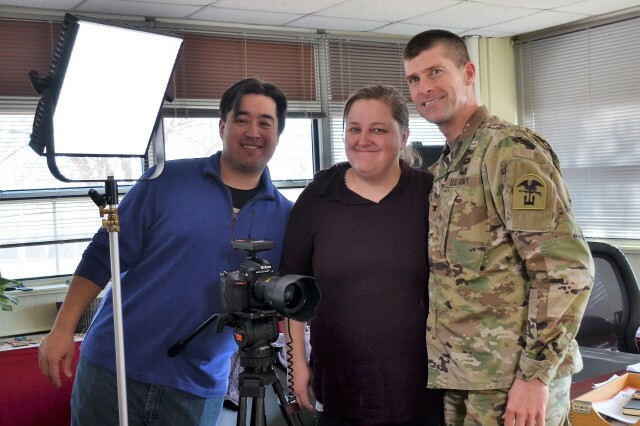 DMA's finished products will be uploaded to Army media platforms that reach an audience of 3.2 million military personnel and Department of Defense civilians worldwide. To stay informed on Army news and events, visit the Army Web page at www.army.mil/; Army YouTube at www.youtube.com/USarmy; or follow the Army Facebook page at www.facebook.com/USArmy.